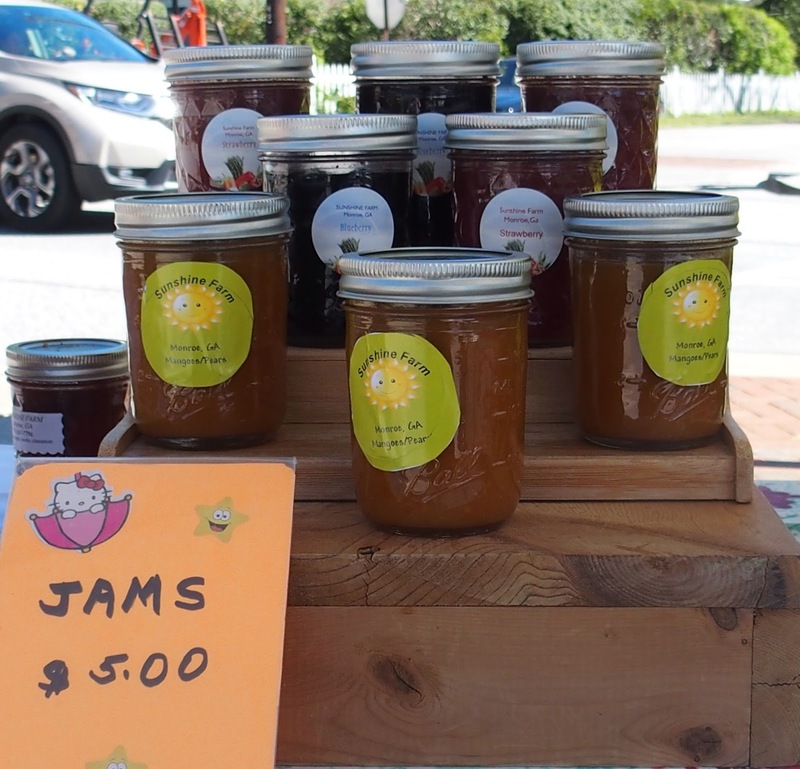 Kennedy said the Market will have activities for children on the first and third Saturdays of each month and also will coordinate with the Watkinsville Trade and Tourism Association, which has moved its First Friday event to the first Saturday of each month, starting in May. Music on opening day will be provided by Full Moon Varsity Band, a group of teenagers that plays rock and roll. The group is associated with the Moon School of Music, 10 School Street, in Watkinsville. The Market varies with the time of the year, but some of the offerings are constant throughout the Market season, which runs through the end of November. Among the constants are pastas, salsas, raviolis, honey, various kinds of baked goods, candies and jams. Vendors also will have bird houses, soaps, wool yarn, lip balms, jewelry, pottery, water colors, and dog biscuits. Kennedy said some of the vendors will be those patrons of the Market have gotten to know in the past, and some will be new to the Market this year. Kennedy said the Market is seeking sponsors this year for the first time. A sponsor will pay $250 per year and be featured on the newly designed web site created for the Market. Sponsors also will be listed on a special sign board at the Market each Saturday. The goal is to help the Market grow and increase its visibility, Kennedy said. 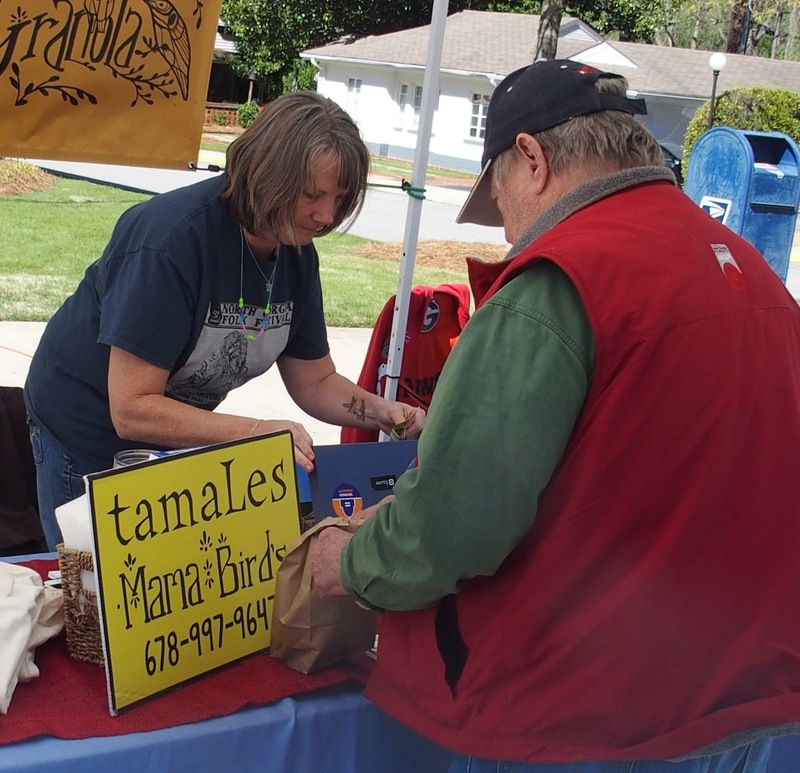 Kennedy is particularly optimistic about the coordination between the Market and the Watkinsville Trade and Tourism Association on the Saturday event, to be called Saturday on Main. 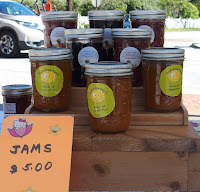 The Market was launched in 2004 to provide farmers from Oconee and surrounding counties with a venue to sell their products and to provide residents with a chance to purchase locally produced foods and related products. Market organizers Debbie Beese, Carl Berg and Russ Page also saw the Market as part of an effort to preserve green space in the county. The Market began on the front lawn of Eagle Tavern, moved to rear of the Tavern in 2009, and relocated to the front of the Courthouse in 2012. In addition to Kennedy, Market Board members are Eric Pope, Amanda Latimer, Miguel Cabrera, Joy Redmond and Holly Jackson. Allison Barnes is market manager. I served on the Market Board as a consumer representative from 2011 to early 2018. When collective projects can be wonderful demonstrations of human virtue. Good, good people are the majority. The way it's 'sposed to be. See: John Locke and his effects upon the Founding Fathers.